hd00:16Woman Walking On Beach In Sunset. 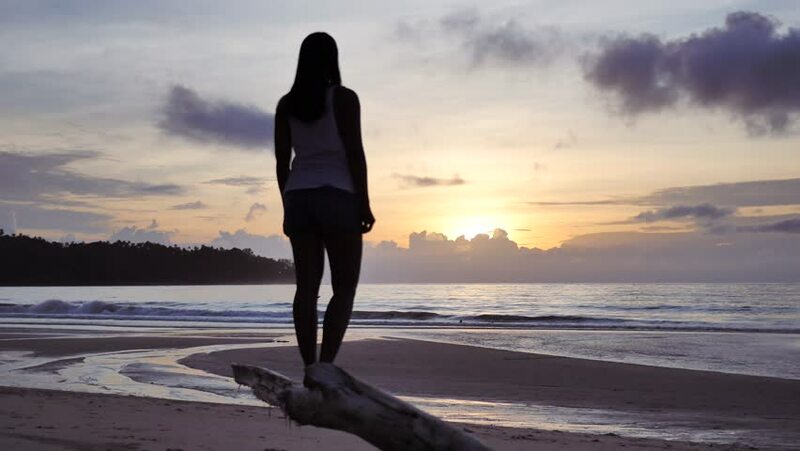 4k00:16Woman silhouette stand on beach edge with view on sunset 4K. Dolly shot of person standing on concrete edge with seascape and golden hour sunset in background. 4k00:27Silhouetted person stands on sandy beach looking out as sun sets at the Oregon Coast then walks back towards camera.